Stage 773 Executive Producer Jill Valentine and co-producer Liz McArthur are thrilled to announce that they are now accepting applications for the 7th Annual Chicago Women’s Funny Festival, taking place August 23 through August 26 at Stage 773, 1225 W. Belmont. 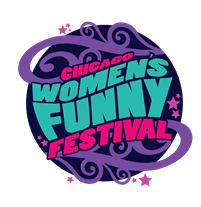 The Chicago Women’s Funny Festival features all comedic art forms including stand up, sketch, solo, vaudeville, improvisational, musical and more. The event packs over 80 shows, featuring over 500 performers from over 160 groups into four funny-filled days. Applications for participation may be sent in through July 1 by visiting http://www.chicagowomensfunnyfestival.com/. Chicago Women’s Funny Festival was founded in 2012 when producers Jill Valentine and Liz McArthur wanted to build a comedy festival where women could come together and celebrate all art forms of comedy under one roof. The first festival boasted 66 shows and 400 performers in five days. Women’s Fest also hosted events throughout the week where women from across the country could network with each other and more importantly, celebrate one another’s work. The response from comedians and audience members was overwhelmingly positive – which is why the festival is coming back for a fifth year. Jill Valentine is a Chicago Southside native who has been the Executive Director of the Chicago Sketch Comedy Festival (the largest of its kind in the nation) since the festival’s inception in 2000. She is also Stage 773’s Executive Director and a founding principal of the building. Jill performs in several popular and critically acclaimed groups in Chicago, including The Cupid Players, Off Off Broadzway and Feminine Gentleman who have performed all over the country. Liz McArthur hails from St. Louis and has worked with the Chicago Sketch Comedy Festival since 2005. McArthur can be seen with groups such as Off Off Broadzway, OneTwoThree Comedy, and Feminine Gentlemen. McArthur is also part of the hit zombie comedy Musical of the Living Dead. Tickets for the 7th Annual Women’s Funny Festival are $15 each and will go on sale July 23. Tickets and information are available online at www.Stage773.com, by phone 773.327.5252, and in person at the Stage 773 box office, located at 1225 W Belmont. Stage 773 is a vibrant anchor of the Belmont Theatre District and home to Chicago’s finest off-Loop talent. As a performance and tenant venue, our four stages provide entertainment for everyone: comedy, theatre, dance, musicals and more. We are a not-for-profit, connecting and catalyzing the theater community, while showcasing established artists and incubating up-and-coming talent.